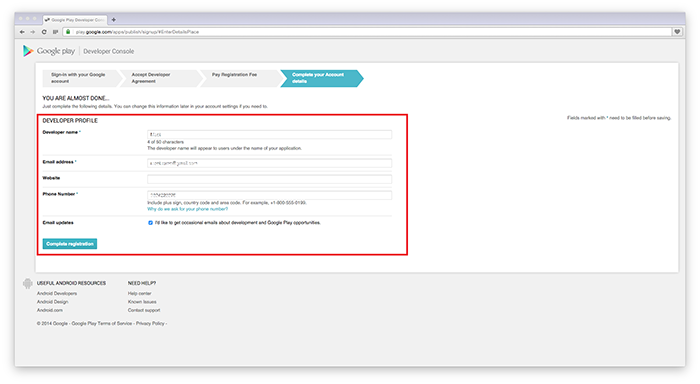 Using your Google Account, you can sign up for a Developer account. Or, you can create a new Google Account. 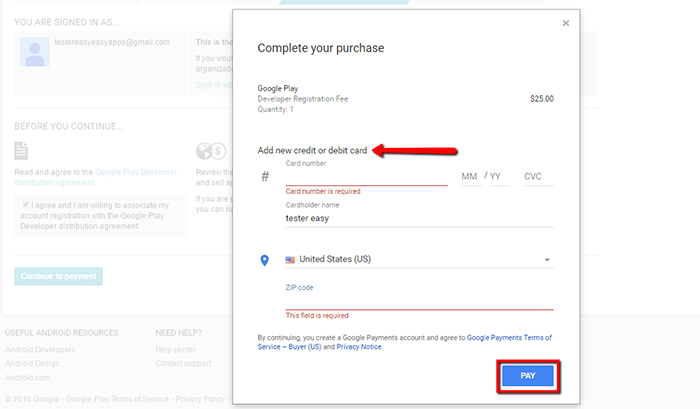 Note: If you already have a Google Play Developer account that you've linked to a Google Wallet Merchant account and want to change your bank account's currency or country, you'll need to create a new Google Account. Once you've created a new account, Google’s support team can transfer your existing apps to your new account. 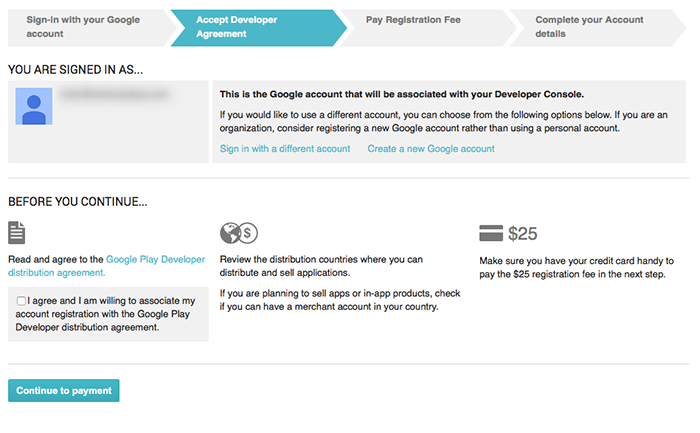 There is a $25 USD one-time registration fee that you can pay for using an accepted payment method with Google Wallet. Enter your account details. Your "Developer name" is displayed to customers on Google Play. You can add more account information after you've created your account.